Most of the world’s agricultural production occurs in temperate grasslands and other regions with mild climates (UC Davis, 2014). However, thirty-eight percent of the world’s population lives in drylands, which the FAO defines as areas with less than 180 days of growing season (FAO, 2015). Such drylands are threatened by further degradation due to desertification, which the United Nations (2015) defines as “land degradation in arid, semi-arid and dry subhumid areas resulting from various factors, including climatic variations and human activities.” Current rates of desertification are 30 times higher than they have been historically, with 12 million hectares of arable land lost per year (United Nations, 2015). With around 1.3 billion hectares of arable land in the world (FAO, 2007), this comes out to a 1% annual decrease, and the rate of land loss is increasing (IFAD, 2014) which will amount to a significant net loss by the end of the century. One way to address desertification is to try to reverse it. It is estimated that 52% of desertified land is worth rehabilitating (Dregne, 1992). The other 48% will continue to exist as desert. Faced with a growing world population and shrinking amount of arable land, we must put more effort into production in desert and dryland environments. Figure 2: Regional agricultural land use. (University of Wisconsin-Madison, 2005). Before deciding where to expand dryland agriculture, we must look at the areas that are likely to become drier in the coming century. 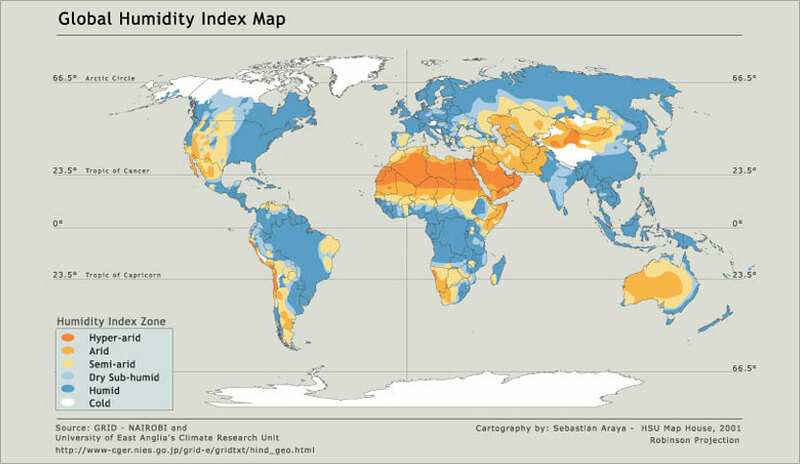 Figure 1 shows global humidity levels, which define the areas prone to desertification. The most vulnerable regions border existing deserts, such as the strip of land below the Sahara desert in Africa and the region around the Great Basin and Mojave deserts in the United States. Comparing the areas prone to desertification to current agricultural lands shown in Figure 2, it is clear that there is much overlap between the two. India, which has a very high percentage of cropland, faces a moderate to high threat of desertification in the coming years. Arable pasture in the United States, the Middle East, and Africa is also threatened. Earth’s 1.3 billion acres of arable land (FAO, 2007) is ultimately finite, so we need to take the desertification threat seriously while there is still time to plan for the land loss. Overall crop yield is also predicted to decrease in the coming century (see Figure 4). This is due in part to land loss from desertification, and in part to other aspects of climate change, including extreme weather patterns (Cline, 2007). Regardless of the cause, the decrease makes it even more vital to expand the land we can use for agriculture. Mission 2019’s overall goal for improving food production is maximizing the limiting factors of production. Land availability is one of those limiting factors, and will become more limited with desertification. Mission 2019 proposes the following techniques to make drylands into productive agricultural land. For specific examples of how they can be implemented, see the case studies section. A NATO study (Lewis, 2013) proposed that the most effective solution to this is the ecosystem approach. One of the main problems with desert farming is a lack of access to resources like water and fertilizer. Over time ecosystems reach a state where the total biomass remains constant, and the inputs and outputs of the system balance, with most nutrients being cycled within the system as organisms grow, die, and decompose. By replicating multiple aspects of an ecosystem within a farm, we can create something close to a closed-loop system (Soule, 1992) and solve the resource problem. In such a system, resources are cycled, minimizing the inputs required. The FAO (2015) defines agroforestry as “land-use systems and technologies where woody perennials (trees, shrubs, palms, bamboos, etc.) are deliberately used on the same land-management units as agricultural crops and/or animals.” Trees cast shadows that can prevent 10 to 30 percent of water evaporation from soil (Creswell, 1998). They can also benefit crops by keeping soil intact with their root systems (FAO, 2015). Although tree growth can be slow in drylands, agroforestry has been proven effective there. The specific trees that can be planted may vary regionally but agroforestry can be used as a general principle. For maintaining soil quality, planting in ridges and furrows was found to increase yield by 23% as opposed to planting on flat beds (Mallikarjunarao, 2015). Ridges and furrows (seen in Fig. 3) maximize surface area so that irrigation is spread over a smaller area, which is important in drylands. Planting in terraces or contours that follow the natural gradient of the land is also effective in preventing erosion and protecting farmland. On land with low to moderate rainfall, contoured land plots “recorded as low as 0.3 tonnes per hectare soil loss when compared to 18.92 tonnes per hectare in control plots” (Mallikarjunarao, 2015) This comes out to contoured land plots losing only 1.6% of what non-contoured plots lost. Generally, choosing native plants creates higher yields with less input. Because of evolution, native plants are better adapted to the regional environment and need less attention to survive (Isaacs, 2009). Using native plants is more challenging when dealing with desertification because traditional native plants may not be well-adapted to the changing climate. Short-stemmed and dwarf varieties also tend to have smaller surface areas, minimizing transpiration of water from plants and thereby increasing the impact of irrigation water put into the system (Mallikarjunarao, 2015). Monocropping, planting one crop without any others in one field, is also a problem. Monocropping degrades the soil over time by leaching nutrients from the soil and encouraging weed growth (FAO, 2005). Cereals, which are common in dryland farming because they require less irrigation, are often monocropped. Fruits and vegetables are difficult to grow individually because they quickly deplete the dryland soil of nutrients, but intercropping them with grains is necessary to create more sustainable farms in drylands (Creswell, 1998). Intercropping is defined as planting multiple crops in the same field (FAO, 2015). Alternating cereals with the crops tolerant to arid environments, along with appropriate methods of crop rotation and intercropping as Mission 2019 discusses in other articles, can preserve soil quality while providing a wider variety of nutrients to consumers (Mallikarjunarao, 2015). We also suggest expanded use of perennial crop plants. 80% of land is currently planted with annual crops that are replanted every season. The constant re-planting prevents any long-term ecosystem from developing. Perennial crops, by contrast, can grow for multiple years and develop deeper root systems, increasing water absorption and making the plants more resistant to weathering (Lewis, 2013). When animals move around on fields, their feet act as a tillage system. Animal wastes also provide natural fertilizer to crops (Lewis, 2013). Encouraging natural predators to insects, like birds, to live near the crops is also possible through agroforestry and intercropping. This provides a habitat for the predators and keeps pests away from crops (Isaacs, 2009). Having these services provided by animals is useful in drylands because it prevents the need for imported fertilizers, and reduces the risk of erosion from mechanized tilling (Lewis, 2013). 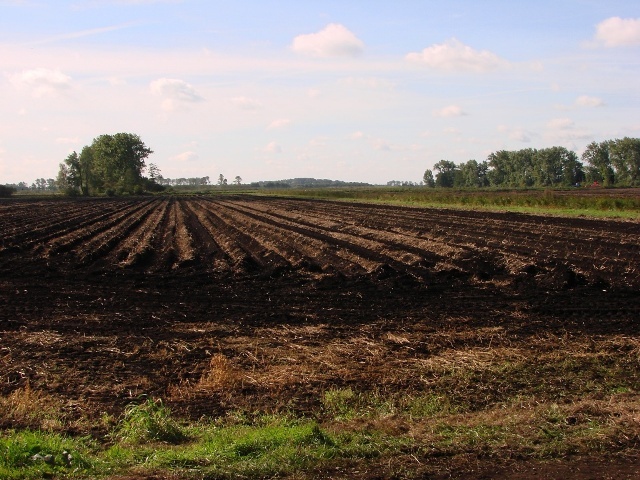 No-till agriculture is the technique of leaving residues and roots of a previous season’s crops in the soil. A study at UC Davis (2014) showed that while no-till agriculture did not improve, and in some cases reduced, yield on farms in temperate lands, it had a large benefit to yield in drylands. No-till farming minimizes disturbance to soil and reduces erosion (Pacific, 2003), an important part of making small dryland farms sustainable. The organic matter in soil also retains moisture, reducing the amount of water demanded for irrigation (UC Davis, 2014). As relevant case studies, we will focus primarily on the western United States and India. The United States is an example of a developed country. India is a developing country with fewer resources and less infrastructure. Both can provide examples of methods to produce in drylands. The American west exemplifies the full range of dryland environments. Central Washington and Oregon make up a low-precipitation zone (<12 inches annual rainfall). Some farms in these areas tend to operate on a summer-fallow system. With this system, crops like wheat can be grown in the winter using irrigation stored from summer rainfall, and the summer-fallow prevents nutrient depletion. Further inland in the Pacific Northwest are regions of intermediate (12-18 inches) and high (18+ inches of precipitation). The intermediate region works well with a yearly crop rotation of winter wheat followed by spring barley, with a fallow summer. The higher precipitation region, which is still low compared to non-dryland areas, uses winter wheat followed by a wider range of spring crops. These include peas and lentils (Pacific, 2003). In addition to the crop rotations that have proven effective, we propose that more aspects of ecosystem farming be applied to the western United States. Specifically for the Pacific Northwest, we recommend using sheep as farm animals because of their tolerance to winters. In the southwest United States, goats would be more appropriate. Goats can graze in arid lands because they are browsers, meaning they are able to eat small amounts of many different plants (Creswell, 1998). Adaptations to dryland agriculture may be different in developed areas compared to developing countries. Farms in the western United States have better access to transportation and resources compared to many sub-Saharan farms (World Bank, 2013), making it an appropriate area for experiments in closed-loop farming. These farms would be similar to urban farms (see Urban Agriculture) in that they are completely self-sustaining and do not rely on factors such as precipitation, making them possible for use in the most arid deserts. New technology concepts are abundant. For arid regions that lack freshwater but are close to oceans, for example, seawater farming shows promise. Seawater greenhouses grow crops in high-salinity soil using a closed greenhouse with moisturized air from evaporating the piped in seawater (OASE, 2010). Developed countries like the United States have more money to put towards these experimental systems that could be applied in the rest of the world by the end of the century. We suggest that the United States government put a small amount of funds toward these experimental systems in the American west in the next 20 years. Adapting to desertification can be done with sufficient government support. Certain genetically modified crops designed to resist drought may be effective in desert environments, which is why it is important for governments to design a comprehensive policy for fair and safe development of Genetically Modified Organisms. Dryland crop growth is most effective when done on a small scale, which is not always economically efficient. Because of this, we propose that large governments shift their subsidy policy away from subsidies for mass-produced crops, and toward farms that comply with certain sustainability standards. These standards would fit with the ecosystem model and include proper crop variety, crop rotation, and amount of water used for irrigation per unit of land (Adeel, 2005), which farms would self-report and would be verified every few years by government officials. Subsidies for ecosystem-modeled would encourage sustainability nationwide while helping farms in drylands. Subsidizing sustainable farms, particularly in the desert, is not economically favorable for a large government, so there must be an incentive for a government to favor them. Favoring small, sustainable farms could increase the country’s internal supply of foods for consumption, as opposed to mass-produced crops for biofuels and other purposes (Subner, 2007). This could decrease the need to import some foods. The United States spends more on imported fruit than any other imported food crop, for example (USDA, 2015). Discouraging the importation of fruits crops by increasing the supply internally keeps more money within the country’s economy and helps the money given to farmers cycle back to other citizens and the government (Ruben, 2001). India is an example of a developing country with some amount of modernization, but many areas with little infrastructure. Sixty-seven percent of India’s agricultural land is classified as semi-arid, and there is more arid land that is not used for production (Sharma, 2005). To preserve the soil quality in India’s existing agricultural land, we propose intercropping native species with high-yield crops. Maize and rice, for example, are high yield grains that could be intercropped with cassava, okra, watermelon, or yams, which have high drought tolerance, making them grow well in drylands like maize, and rice (Mallikarjunarao, 2015). For agroforestry in India, we recommend using fruit trees. Many fruit trees grow well in drylands, providing food in addition to the other benefits of agroforestry. The Ber tree, for example, grows effectively and is resistant to drought and other adverse conditions. Its fruit is rich in carotene, vitamin A, vitamin C, and oils, making it beneficial to consumers as well as efficient in desert agroforestry (Mallikarjunarao, 2015). Trees like Ber can also be pruned every year, conserving crop space (Morton, 1987). In the long term, Mission 2019’s goal is to help developing countries produce enough food internally. Seventy percent of impoverished people live in rural areas, including many communities in India (World Bank, 2015). In these areas, transportation is not reliable and communities are disconnected. Because of the high total population and unreliable transportation, it would be impractical to try to transport food to these communities, and damaging to their small farm economies (Herdt, 1998). India already has high import tariffs which favor producers within the country, and has helped India become a net exporter of crops like wheat (Gibson, 2001). If India can achieve internal agricultural sustainability in the short term, it will be better able to deal with the effects of desertification that will likely become prevalent over the next century. Desertification is a gradual and sometimes undetectable process, which is why it may not seem urgent at the moment, but if we are to ensure food security for the world in the coming century, we must begin planning for how to adapt to a loss of arable land now. It will put pressure on food resources in developed and developing countries alike. The ecosystem approach to farming practices and proper government funding for sustainable farms are the most important steps we can take now to prepare. Mallikarjunarao, K. Pradhan, Rojalin. Das, Ranjit Kumar. (2015). Dry land techniques for vegetable production in India-A review. Agricultural Reviews. Odisha, India. Soule, Judy. Piper, John. (1992). Farming in nature’s image. Island Press. Ebook. UC Davis. (2014) No-till agriculture may not bring hoped-for boost in global crop yields, study finds. UC Davis News and Information. Web.